Cayman Cup is about friendship, ambiance, and sportsmanship and of course a whole lot of fun. It’s a melting pot of cultures, with 200 athletes from all over the world playing tennis in sunny Jamaica. 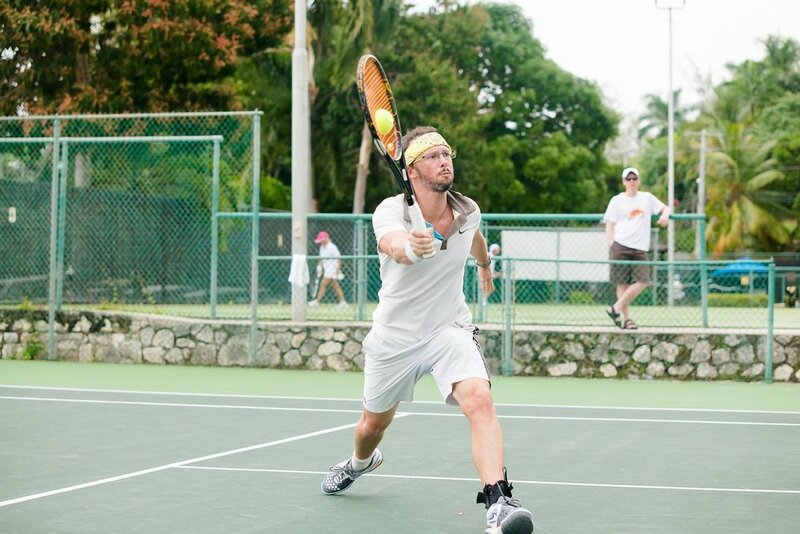 This event is one of the stops on the ITF Caribbean Cup Tennis Series and is a Senior ITF Grade 3 event. The Holiday Inn Resort is the only resort situated on the North Sound Caribbean Sea, providing the most amazing sunrise views right from our sea-side pool and water front. Our guests use our complimentary shuttle to dine, sight see or enjoy nearby Camana Bay, Fosters Food Fair, Seven Mile Beach (5 minutes away) and George Town. All of our spacious rooms and suites feature a balcony or patio, and some guest rooms boast breathtaking views of the waters of North Sound, the greens of the North Sound Golf Club, our beautiful gardens, or the pool. Guest suites have extra living space and amenities such as a fully stocked gourmet kitchen, living room, dining room and in-suite laundry. The Cayman Island Tennis Club is the premier tennis facility in the Cayman Islands, with 8 fully restored hard courts and a great clubhouse with optimal viewing and seating!